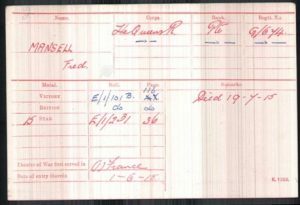 Frederick Mansell was born on the 29th of January 1886 to labourer and bricklayer Charles Mansell and Lucy Mansell nee Hook. He was baptised on the 11th of April 1886 at St James’ church in Shere, Surrey. At the time of the baptism, Charles was working as a labourer. On the 6th of October 1890 Fred Mansell was admitted into Peaslake Church of England School. At the time of the admission the family lived in Peaslake. 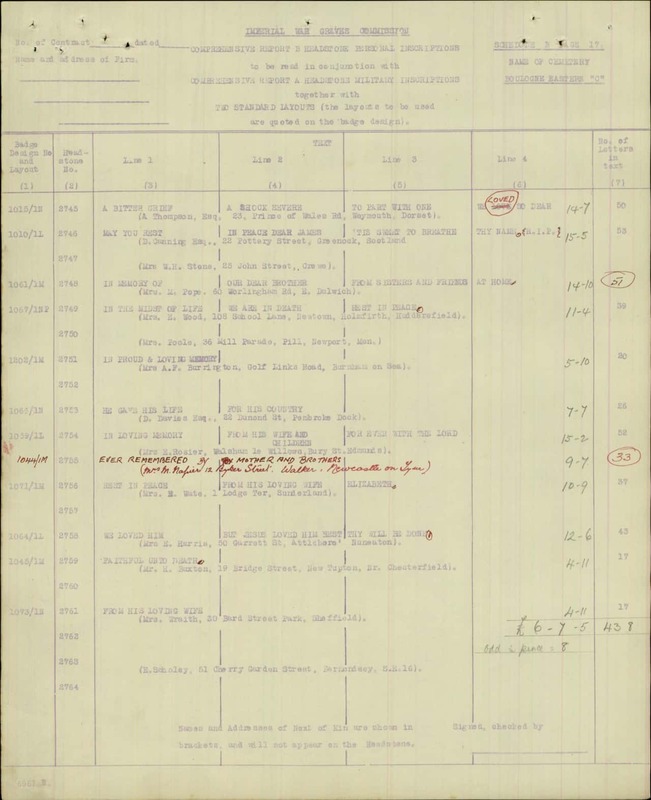 Fred left the school on the 19th of December 1895. 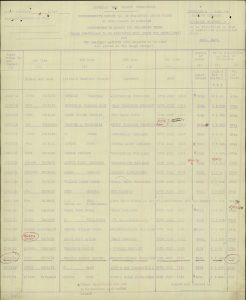 At the time of the 1891 Census, the family lived in Peaslake, Shere. Charles was working as a bricklayer’s labourer and Lucy was looking after their children: Mabel, Amy and Fred. 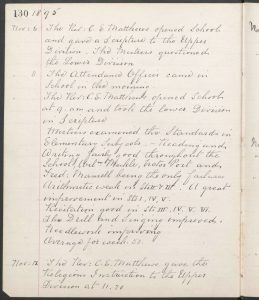 The 1895 Peaslake Church of England School log book reads that Fred Mansell did not do very well at school. 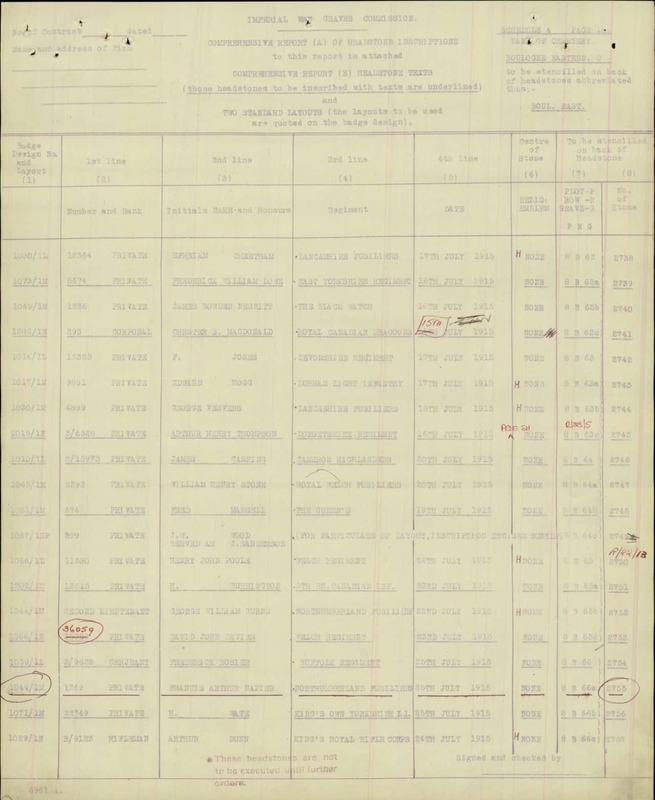 At the time of the 1901 Census, the family lived in Peaslake, Shere, Surrey. Charles was working as builder’s labourer and Lucy was at home. The family further comprised of their son, cow boy on a farm, Fred Mansell. 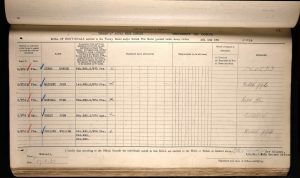 At the time of the 1911 Census, Charles Mansell and Lucy Mansell lived at Peaslake, Gomshall, Surrey. Charles was working as a builder’s labourer and Lucy was at home. Lucy stated that she had given birth to six children of whom five were still alive. The accommodation had four rooms. 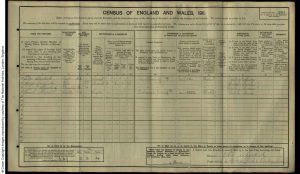 At the time of the 1911 Census, general labourer Fred Mansell was living with his sister Amy Sherlock and her family at 4 Spring Gardens in Dorking, Surrey. The family further comprised of Amy’s husband Peter Sherlock,a lime burner, and their daughter Violet. The accommodation had four rooms. 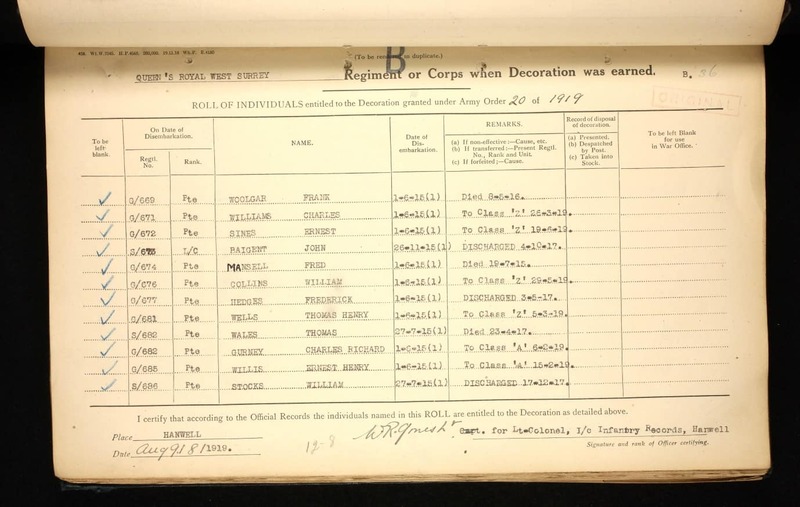 Fred Mansell enrolled into the 6th Battalion, the Queen’s Royal West Surrey Regiment in Guildford, Surrey. 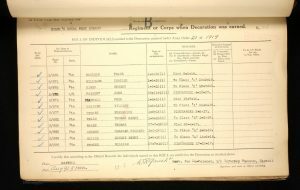 He was a Private with regimental number G/674. 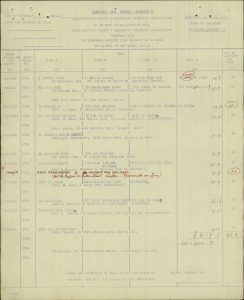 At the time of his enlistment he lived in Horsham, Sussex. 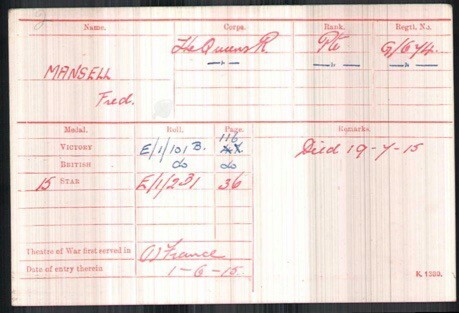 Fred Mansell disembarked on the 1st of June 1915 in France. 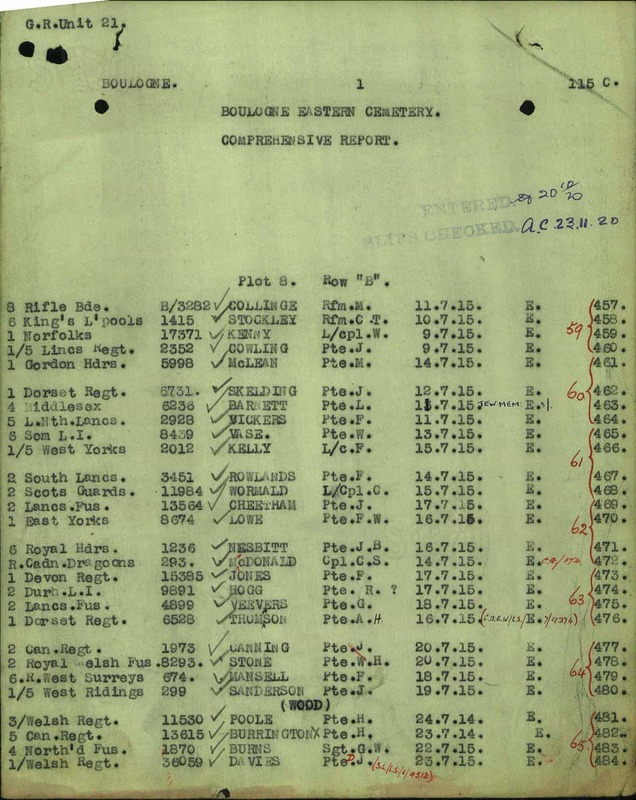 He died of wounds on the 19th of July 1915 at the No. 11 General Hospital in Boulogne, France. He is buried at the Boulogne Eastern Cemetery in France. His grave reference number is: VIII. B. 64. 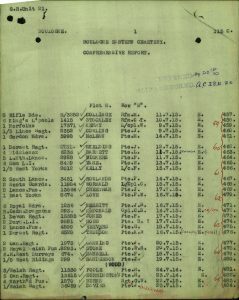 Fred was awarded the British War and Victory medals and the 1915 Star. 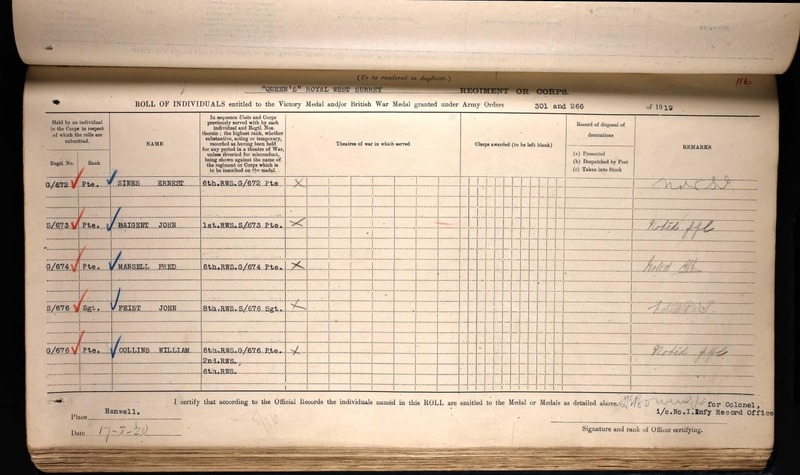 Mrs Pollie/Polly Garman received £3, 1s and 4d on the 2nd of February 1916 and further £3 on the 28th of November 1919 in Soldier’s Effects. She was also part legatee. Fred’s father Charles Mansell was born in the 2nd quarter of 1848 in Shere, Surrey to agricultural labourer John Mansell, born about 1806 in Shere, Surrey and Sarah Mansell born about 1814 in Shere, Surrey. 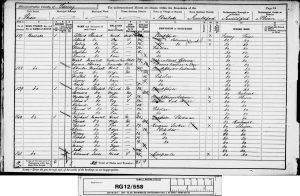 Fred’s mother Lucy Hook was born in the 3rd quarter of 1847 in Shere, Surrey to agricultural labourer Frederick Hook, born about 1805 in Shalford, Surrey and schoolmistress Hannah Hook, born about 1810 in Shere, Surrey. 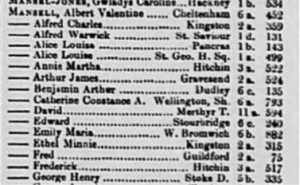 They married, by Banns, on the 1st August 1868 in the parish of Shere, Surrey. At the time of the marriage, the couple lived in Pislake [Peaslake], Surrey and Charles was working as a labourer. Fred had five siblings: Alice Mansell born about 1871 in Shere, Surrey; Kate Mansell born about 1874 in Shere, Surrey; Edith Mansell born about 1876 in Shere, Surrey; Mabel Mansell born about 1881 in Shere, Surrey and Amy Mansell born on the 5th of January 1884 in Shere, Surrey. 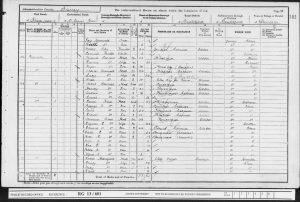 At the time of the 1871 Census, the family lived in Peaslake, Shere, Surrey. Charles Mansell was working as a labourer and Lucy was looking after their daughter Alice. At the time of the 1881 Census, the family lived at Riding Bottom, Shere, Surrey. Charles was working as a bricklayer and Lucy was looking after their children: Alice, Kate, Edith and Mabel.